If you give a 2nd more chance to pallet, it will also improve your life in revenge! Old wood products and furniture design always held dear to rustic and antique lover and rusticity of pallets can do much in this case! 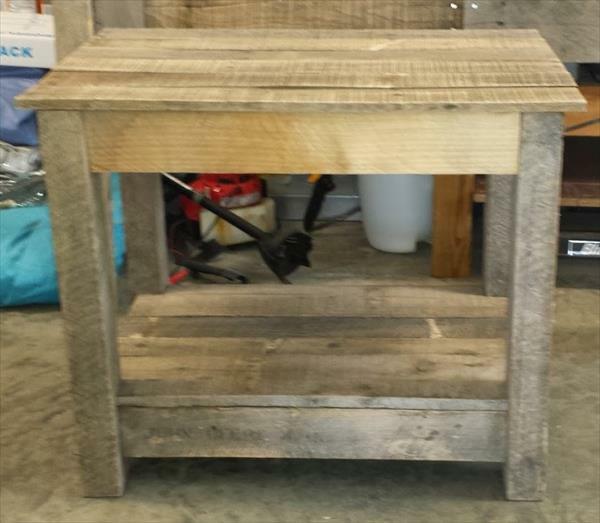 Regain the pallets into this DIY wood pallet nightstand to keep those night supports in arm reach! Design is super sturdy and timeless to build and fulfill all requirements of functional nightstand which you mostly buy from market! Pallet is providing here some ways to bypass those crucial home furniture pieces for which the prices are extortionate and unaffordable! Pallets are so easy to access as they are always around you a one can meet them at junky yards, landfill areas and a scrap material pile! Shipping areas are the best possible source to get bundles of pallets of any size and any wood species! 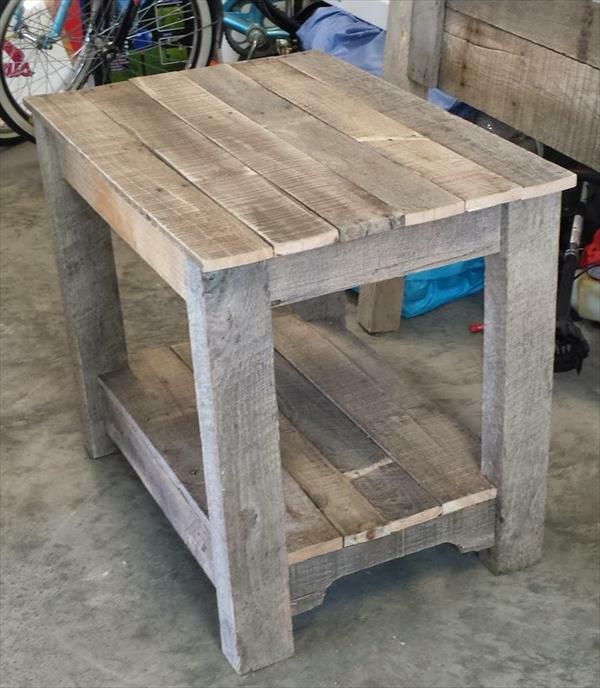 Try this easy-to-build nightstand using a few pallet boards and don’t hesitate to use it also as a sofa side table!